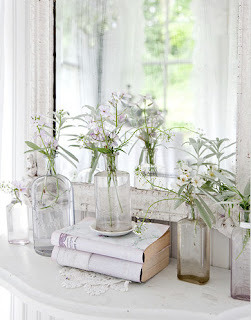 A sweet collection of old bottles filled with a wild flower...effective yet effortless. Love the colours...imagine having that door!! 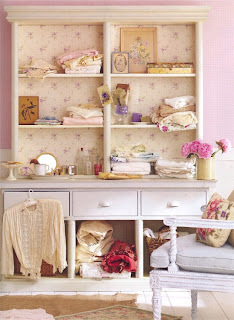 Cant get enough of vintage china! 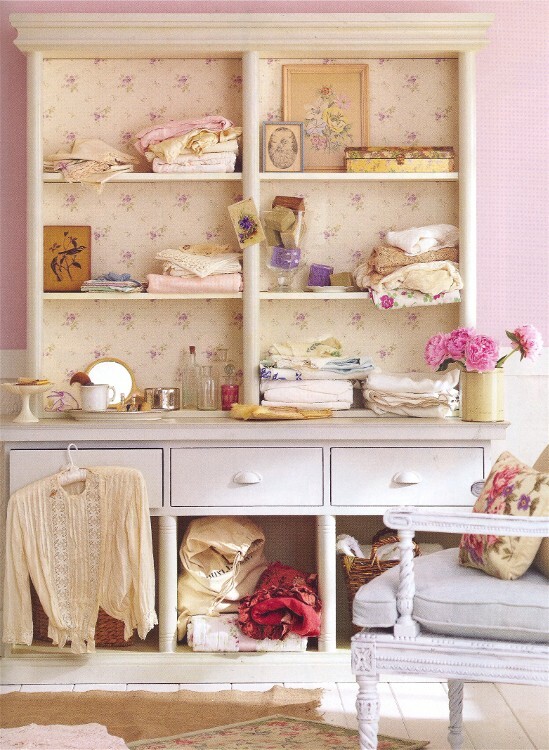 I love dressers where you can be creative and place beautiful objects, fabrics, pictures however you want...then when you want a change you can start over again with more of your favourite finds.